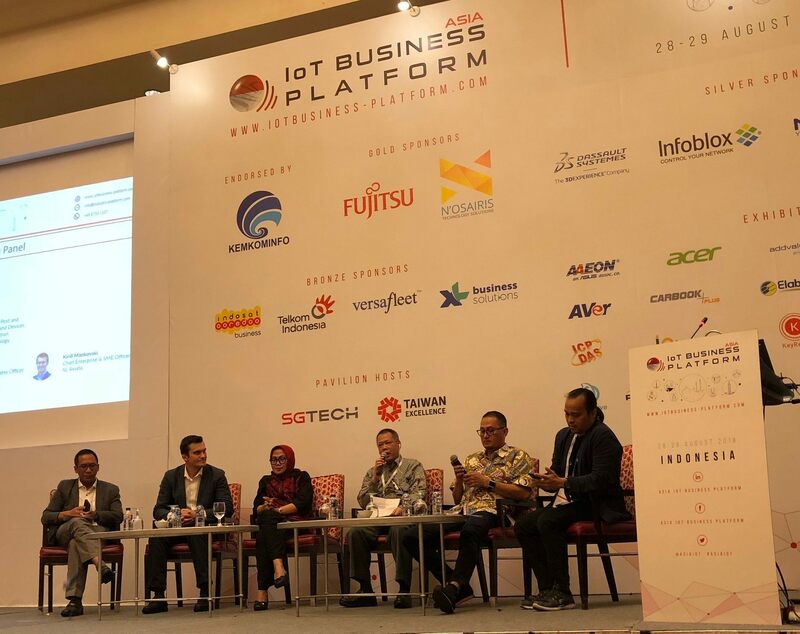 The IoT industry in Indonesia has reached an important milestone after the Ministry of Communication and Information Technology (MCIT) launched the IoT Roadmap Draft at the 25th edition of Asia IoT Business Platform in Indonesia. Dr. Ismail, the Director General of Post and Informatics Resources and Devices shared that from the ministry's perspectives, there are three components of IoT: 1. Sensors and Actuators, 2. Connectivity, 3. People & Process (including applications). The regulations for these components are being finalised and MCIT is inviting the IoT stakeholders including telcos, solution providers and enterprises to give inputs. Dr. Ismail further stressed that these regulations should serve as an accelerator for the IoT development in Indonesia instead of a hindrance as he believes that the best regulation is less regulation. Dr. Ismail also stated that connectivity is the focal point of the IoT Roadmap Draft. Telcos, especially have a pivotal role to play in Indonesia's IoT development as they are the connectivity providers Dr. Ismail also highlighted that connectivity is the backbone of IoT and digitalisation and is closely-linked with the problems of devices, standardisations, technology and spectrum. Pak Komang, Executive GM of IoT of Telkom, Bu Herfini, Director and Chief Business Officer of Indosat Ooredoo, and Kirill Mankovski, Chief Enterprise and SME Officer of XL Axiata who participated in the keynote panel discussion agreed with Pak Ismail stressing that telcos now play the role as a hub and integrator of the IoT ecosystem. The importance of ecosystem was further emphasized by Pak Semuel Abrijani, the Director General of ICT Applications. His team has launched several initiatives to encourage the formation of ecosystems, one of which is through makerspaces where stakeholders can work together to create solutions needed by industry in Indonesia. Several other initiatives to drive digitalisation have also been launched, such as, 1000 Digital Start Up Program, Towards 100 Smart Cities and Digital Identity. Both Pak Semuel and Dr. Ismail agreed that MCIT should not only act as a regulator but move towards the role of an accelerator for the ICT industry. 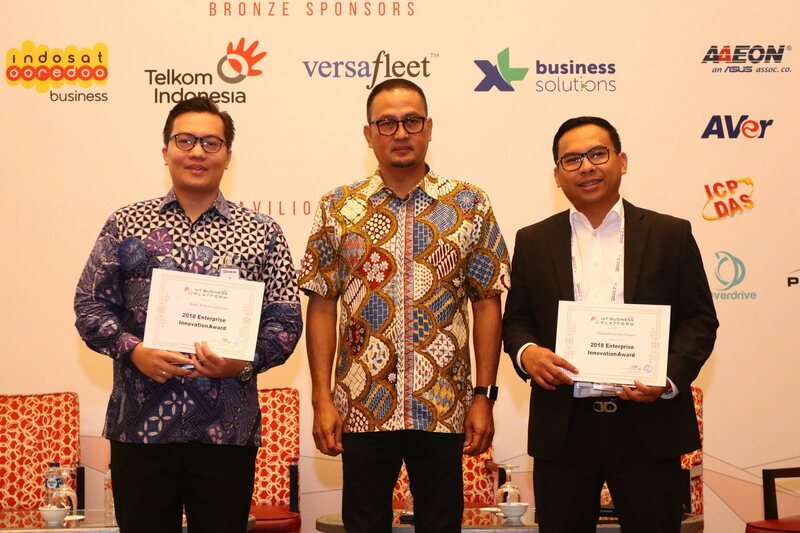 They believed enterprise digitalisation has begun in Indonesia and the government is aiming to push for full digitalisation across verticals. We have witnessed rapid development of digitalisation in Indonesia over the past few years and BRI (Bank Rakyat Indonesia) and PGN (Perusahaan Gas Negara) have attested MCIT's statement. Both BRI and PGN were awarded the annual Enterprise Innovation Awards, beating out more than 30 other submissions. BRI has adopted a multi-prong approach towards digital transformation through the introduction of digital services for clients and internal staff, resulting in improved customer satisfaction and the reduction of operational costs. Similarly, PGN realised the same benefits through the introduction of smart meters and big data analytics. IoT is crucial in realising the latest initiatives launched by the Indonesian government, spearheaded by Ministry of Industry. Pak Bambang Riznanto, Head of Industry Technology Assessment and Application, Ministry of Industry, shared that under the Industry 4.0 initiative, Making Indonesia 4.0, the ministry is proposing to give incentives to the progressive enterprises who are pursuing digitalisation, including 100% tax reduction. According to him, currently there are 5 main industries they are focusing: Food and Beverage, Textile and Apparel, Automotive, Electronics and Chemical.